How to crack an IIM? Whether you are a working professional or a fresh graduate, spending a minimum of 2 hours daily on studies becomes essential. As a working professional, you may find it difficult to juggle between your work and exam studies. However, it is not impossible to give a minimal two hours on daily studies. 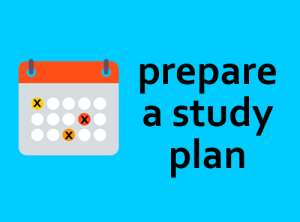 For those who are either students or not employed currently should consider themselves lucky in terms of the time they have in hand for exam prep. Such people can give 3 to 4 hours daily depending on one’s grasping ability. In a nutshell, you need to create and stick to a timetable in such a manner- where you can give 2 hours of your day for studies alone. 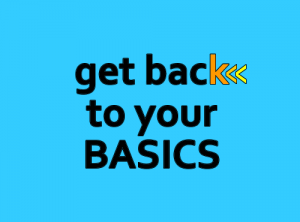 Devote the initial months of your studies on only getting your basics right. 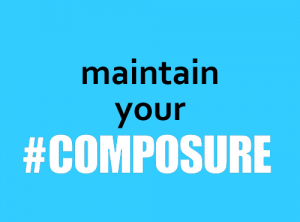 Start working on your vocabulary, mathematics or any other area you do not feel confident about. Set a target of learning 2 new words and attempting 2 new problems on a daily average. Without your fundamentals in place, you are bound to fare poorly in the mock papers irrespective of the frequency of having attempted them. Students from non-engineering backgrounds will have to work on their mathematics. Generally, students from engineering backgrounds are naturally equipped with quants. However, they need to work hard on their language skills including verbal ability and logical reasoning. 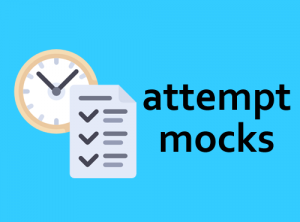 Allocate the 2 months before exams specifically for mock solving. Take a mock or even a sectional test daily and do a post- mortem analysis for the same. Here, post-mortem analysis means solving a mock so thoroughly that the next time you come across a similar problem, you can solve it with ease. Solving sample mock paper is the best way to prepare for any entrance test including CAT. It will give you an idea of the various questions that may appear for the paper. And, this will help you to accordingly prepare for the same. There are a plethora of sites which offer free sample mocks. Identify the popular websites offering them and give it a shot. Make sure that the difficulty level of these tests are good enough as there’s no point in attempting questions which are below par as compared to the Common Admission Test. This is very important in order to get an idea about where you stand in terms of competition. 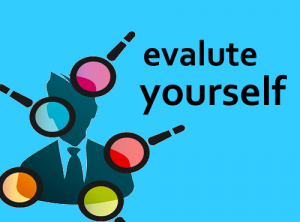 After giving multiple mocks and question papers, you will be able to identify your strengths and weaknesses. Focus on your weak areas and try converting them into your strength. This must be done after giving every sectional test or a practice set. Evaluating your performance includes seeing your mock scores (consistency in them), the mistakes you are committing and the amount of time you spend on each problem. Keep a track of your mock scores and see whether there is an improvement in them! If your test scores are inconsistent, then you need to ask yourself where you are stumbling frequently. Identify that particular type of problem and keep practicing it. Practicing for an IIM is like genuinely following a gym routine. If you do a workout meant for a week within a day, then it will take a severe toll on your health. The same applies for your IIM preps as well. So, instead of studying at the last moment, why not practice daily! Focus more on the questions you aren’t confident about, but at the same time don’t neglect the areas you’re good at. Divide your day according to your strengths & weak points. Those who are working can spend more time on practice during the weekends. Solve questions after every chapter. Once you get a knack of the questions, you can give a sectional test or even attempt a full length mock. 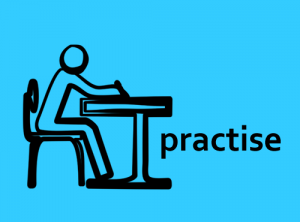 The purpose of practicing is to familiarize you with the various types of questions that will come for the exam. So, don’t time yourself while initially solving sample mock papers. Focus on getting right answers as CAT is about accuracy. Once you accuracy improves, then you can focus on improving your speed. Reserve a month prior to the exam for intense studying where you can spend 8 hours max on a regular average basis. On the C-day, start with the section that you’re good at & skip the questions that you aren’t sure about in order to avoid negative markings. It is very important to have a strategy while giving the paper. The best way for developing a strategy is by solving mock papers. 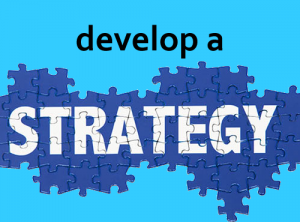 Try different strategies and see which works out the best. A plan which gives you more accurate answers within a short time in your mocks is the one that you must implement for the C-day. Also, make a note of the amount of time you spend on each question. See, if there’s a short cut to solve a particular problem. Studying for long hours can be exhausting and can affect your speed of learning. Take breaks from your study schedule as it helps to rejuvenate your mind. 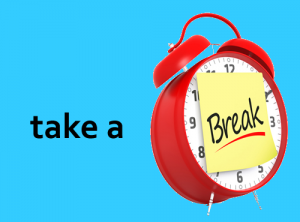 Also, make sure that your breaks aren’t long, for it will affect your studying rhythm. Start reading newspapers, famous books or any other thing that has been trending. This will be helpful for you while facing the group discussions (GDs) & personal interviews (PIs) for IIMs. Stay well versed with current affairs- be it regional, National or International. 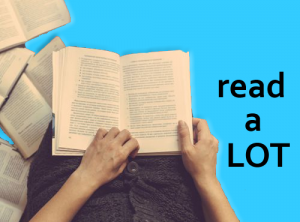 Reading will not only help you gain knowledge, but also make you develop a viewpoint on various issues. In the lure for getting good scores in CAT, students often forget to build their profile for IIM. Working professionals will have an advantage in this area. Those who don’t have work experience could work in an NGO or even intern at a good company to enhance their profile. 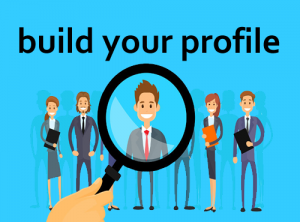 Profile plays a very important role and increases your chances two folds to get admission in an IIM. How you perform on the day of the exam is all that matters! Normally, students panic while seeing a particular type of question and go blank. In such situations, start solving questions that you’re familiar with & leave the tough ones for the end. Also, having a red bull or listening to music prior to the paper is helpful!